Eileen M. Register unless otherwise stated. All Rights Reserved. Do not copy without written permission. and most of what any business might need as well. who needed to improve their computer skills. On most afternoons, there’d be at least one or two housewives or business people or high school students there, and Kendra or her employee would be moving from one to another, showing them how to save a file, or scan a photograph, or whatever it was the customer needed to learn. Today, the shop was empty. One thing Kendra felt proud of was her thorough approach to this business she had single-handedly built. Her return to the sleepy little Florida town of her birth had been shock enough for most of the local people who remembered her, and her decision to open “Bytes & MegaBytes, Etc.” had really caused tongues to wag. Who would have dreamed that the slightly plain, slightly awkward daughter of the town’s most notorious drunk and strumpet would not only turn out to be beautiful but also an intelligent and savvy business woman? Kendra looked over at the convex security mirror that reflected the front doors of her shop; she was shocked. As she made her way around the artfully arranged computer displays and shelves of electronic paraphernalia that formed a maze through the center of the shop, she ran one hand through the long, wavy tresses of her unmanageable blond mane. The front of the shop became visible, and she stopped dead, staring into the bluest eyes and the most ruggedly attractive male face she’d ever seen. The slight curl in his light brown hair was the same, but the blond streaks of his youth were no longer there. The breadth of his athletic shoulders had not lessened, nor had the strong muscularity of his arms, encased in a navy blue, lightweight jacket beneath which a crisp, pale blue dress shirt, sans tie, was visible. The knife-edge crease of his business-casual jeans marked him as one of the new breed of confident and successful businessmen. War broke out in her mind even as her heart started that familiar racing that always came when she thought of the clean-shaven face that was now in front of her. It had been a long, long time. “Hello Daniel,” Kendra said, quietly. Daniel rolled closer, his fingers clinched tightly around the chrome handrails on the wheels of his sporty lightweight wheelchair. Strong hands maneuvered the chair to an abrupt halt in front of her. His slow, observant gaze noted the perfect fit of her sweater, its opalescent shimmer accenting and repeating the gleam of her gorgeous hair, and the trim, sophisticated man-cut trousers that skimmed her slender hips and ended just above chunky-soled, strappy sandals that echoed the dark pink of the trousers. Delicately painted toenails peeked from the sandals, and the irreverent thought floated through his mind that she had never liked pantyhose and obviously wore none now. Judging from the smooth fit of her trousers, she wore nothing underneath them, and he felt the resurgence of a long-ago throbbing that he had thought never to find again, an aching in his manly parts that he suspected only she could engender, even after all these years. The look of surprise on his face told Kendra everything. Daniel hadn’t known she was here in this shop. Perhaps he hadn’t known she was back in Mayfair. Of course that would only be possible if he’d been living in a cave someplace, since Kendra had been the talk of the little town ever since her return six months before. She had dreaded this moment. She had hoped for this moment. She had never expected this moment. Disbelief shown in her deep green eyes, but she pasted her shop owner smile on and determined to be - what was the word? - appropriate. The silent moment lingered between them, threatening to overwhelm her appropriateness. What could she say to this man? “You’re looking well, too, Daniel.” Perfect. She felt uncomfortable, at a loss for words, which was one thing no one had accused her of in a long time. Daniel, too, felt awkward. His eyes roamed around the computer shop, taking in everything while his mind raced for something to say. “Nice place, Kendra,” he said. "How long have you worked here?” Trite again. He sure was impressive. Where was that grace he’d always owned, that ability to converse in any situation? That easy, talkative style that made him the best consultant in the company he and his brother owned. In spite of his obvious physical disadvantage, he worked circles around the regional consultants and spent most of his time going from office to office making sure the staff was fully trained and working at their highest levels of efficiency. 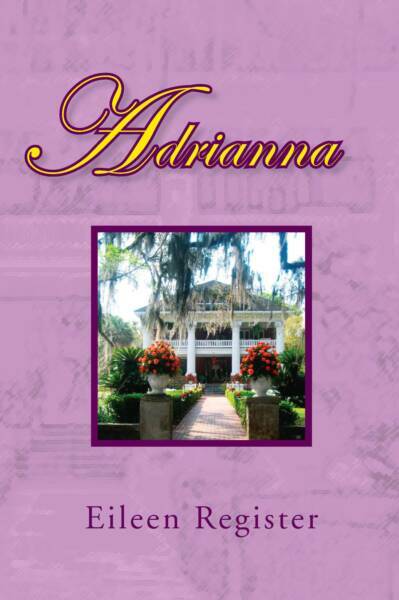 When had Kendra sneaked back into this sleepy little town in which they’d both grown up? And more to the point, why hadn’t he known she was back? So many questions flooded his brain. He himself was just here on a brief visit between business appointments, a rare trip back to his hometown. His parents and one sibling were now dead and his other siblings were scattered across the country. He wasn’t sure why he had taken this detour. Maybe it had been the sign out on Highway 27 that advertised the Grisholm County Fair. It had brought back memories. Perhaps he had just wanted to wallow in his loneliness a bit. Turning, Kendra reached over and picked up a business card from the small cardholder sitting in a computer display nearby and handed it to him. Looking at the card, the truth dawned in his eyes, chagrin at his misjudgment bringing a slight blush to his cheeks. “Congratulations, Kendra,’ he said, trying to inject enthusiasm into the once again trite words. Her first tendency was to be kind - compassionate enough not to make comment at his crass misjudgment, his inability to think of her as anything other than the silly teenager she had been when he left Mayfield ten years ago taking her heart with him. Wheelchair or no wheelchair, he was still Daniel Crawford and the hurt ran deep. The emerald flash of her eyes warned him that she wasn’t going to take the slight lightly. “What’s wrong, Daniel? Are you, like everyone else in this town, having problems believing that the poor little daughter of Sally the town strumpet could ever amount to anything?” Biting her tongue to still the angry words that threatened to continue, she stared him down. “Oh come on Daniel. Let’s not start the lies again. You had no idea you would ever see me again and that was how you wanted it. You made that painfully clear ten years ago when you left.” Kendra’s color was high now, as was her anger at his deception as well as the long ago abandonment that had scarred her young heart so deeply. “Kendra, that’s not true and you should know it. I had no choice back then. I had to go and you were too young to go with me. You know that.” Daniel’s face seemed so sincere. She wanted to believe him, but she was no longer a fool. “Yes, I guess fifteen did seem awfully young to you at the time. Mr. Football Captain, heading off for his big college career. What would you have done with a poor little excuse of a girlfriend like me?” All the pain raging in her begged to be released, but she refused to cry. She had rarely cried since the drowning tears of that day long ago had left her drained. “Oh yes, I knew. I read about it in the papers, but by then Mama had dragged me off to some dreary town in Louisiana. I tried to feel bad for you, Daniel, I really did.” A niggling edge of guilt assailed her at the cruelty of her words but the burden of her pent up anguish wouldn’t be stilled. The tinkling of the bell brought their heads around to face the door as a boy of about nine bounded exuberantly into the shop. Deep blue eyes flashing beneath his shag of unruly blonde curls, he tossed his book bag on the floor and rushed over to give his mother a hug. “School let out early today, Mom. Don’t you remember? It’s Fair Day!” he exclaimed, his excitement palpable as visions of roller coasters and cotton candy raced through his mind. Suddenly DJ was crestfallen. A tear threatened in the corner of one eye, but he was a big boy and big boys didn’t cry. “Aww, it’s okay Mom. If you’re too busy to take me to the fair, maybe I can go with Josh and his mom.” His brave words were unconvincing. Daniel studied the little boy, suspicion creeping into the agitated recesses of his brain. DJ? Hmmm. He had his mother’s blond hair, but those eyes certainly weren’t green. Not that beautiful emerald green that had haunted his sleep for all these years. That color of passion that had kept him safe from the love or machinations of all those adoring coeds he’d bedded in his college days before the wheels of his chair replaced the football in his hands and the cloying females had moved on to seek more agile prey. DJ turned then, curiosity warring with propriety as he eyed the stranger in the wheelchair. “Hello,” he said shyly, his blue eyes meeting the eyes of the father he had never known. He didn’t suspect. Daniel knew. “No, DJ, I’m going to take you, son. Mary Ann will be back from lunch in a few minutes. Then we are off to the fair, just like I promised,” Kendra reassured her son, not daring to look anywhere but at him. Daniel knew. She could feel it. Why had she been stupid enough to return to this town? She knew why. “Now go pick up your book bag and take it to the back. Do you have any homework?” she inquired. “Homework? Ummm. Welllllll, just a few spelling words to work on, but can’t I do that tonight when we get home, Mom? Please?” he begged. “Aw shucks, Mom! Do I gotta?” DJ groaned, but his feet were already taking him to get his book bag, and he knew he couldn’t afford to fuss if he wanted his trip to the fair. Daniel’s eyes followed the child to the back of the shop, his face inscrutable. After DJ disappeared behind the divider that marked off Kendra’s office space, Daniel turned his gaze on Kendra, questioning. “Why didn’t you tell me?” he asked quietly. “Well, I came in looking for more RAM for my laptop.” he answered, his eyes never leaving hers. Daniel noticed the name, her maiden name. Now he was sure. Was he also relieved? Kendra loved roller coasters. Daniel remembered. His eyes followed her slim figure to the back of the store, and then he forced his attention back to the sales girl. “What can I get ya, sir?” she asked, totally oblivious to the tension in the air. “I just got this laptop and I’ve found that I need more RAM for it,” he explained, twisting around to pull the diminutive laptop computer out of the pouch that hung on the back of his wheelchair. He handed it to Mary Ann. “Nice one,” she exclaimed, noting the brand name. “I think we may have just what you need, and Kendra is a wiz at installing stuff. Hang on a minute, sir,” she said, turning toward the back of the shop. “Wait,” Daniel said. “I heard her say she’s taking her son to the Fair. I’ll just come back in the morning since she is the tech who has to install the RAM anyhow.” He knew he was making excuses. He knew he could do the installation himself. “Are you sure?” Mary Ann asked, knowing Kendra would be upset if they lost a sale. “Sure I’m sure. I’m not in a big rush today. I was planning to roam around town a bit anyhow. What time do you open in the morning, miss?” he asked, trying to appear guileless while his mind whirled. “That’s perfect. If you’ll let her know I’d like to come in early in the morning, I’ll just get on out of your way for now,” he smiled. Grasping the wheels of his chair, he turned and headed for the door. “Let me get that for ya, sir,” Mary Ann exclaimed, but he just waved her away with a “Thanks, I can get it,” and then grasped the door handle with one hand while he rotated the chair to one side with the other. Smoothly, he opened the door and rolled through it. Closing down her computer after making sure the web site she had been working on was safely labeled and resaved, Kendra sighed. So, he’d be back. She’d been sure of that. She reached in her purse for a tube of lipstick and a compact and freshened her makeup. “Ready to go, son?” she asked, leaning over his shoulder to check his progress on the spelling homework. “Two more words, Mom,” he mumbled, carefully forming the letters as he repeated the next word to himself. He was a bright student, and his mother made sure he kept up with his work, but sometimes he really hated it! Leaving DJ to finish the spelling work, Kendra turned and walked briskly back around the partition and into the main part of the store. Pausing, she looked around. She was still considering whether or not to lease the empty storefront next door and add a cyber café to her enterprise, and she had other ideas, too. Pride in what she had accomplished in the few months she’d been back in Mayfair slowly replaced the last of her seething anger at Daniel’s early assumption that she “worked” in the shop. She did work here; in fact, she had worked hard to get where she was, and if she got the chance, she’d tell that man a thing or two. She ignored the butterfly flutters in her stomach as his flashing blue eyes revisited her soul briefly. That stubborn kernel of pride deep within her that had made her choose Mayfield as her proving ground had led her to this place, this circumstance, and she silently questioned the wisdom of that choice. In the quiet recesses of her mind she refused to admit that the remote possibility of seeing Daniel again had been part of her motivation for returning. Her solemn reverie was suddenly broken by a loud whoop from behind her as her son came barreling around the partition and ran right into her. Shedding her melancholy mood, she turned and caught him in her arms, giving him a huge hug. “Slow down, pardnah,” Kendra drawled. “Let me get my purse and give Mary Ann a few last minute instructions, and we’ll be out the door in a jiffy!” she laughed, once again tousling his curls as he dodged away. DJ let out another whoop, hopping from foot to foot in his excitement. “We gotta hurry Mom. Josh and his mom might be waiting for us at the gate!” he exclaimed. “Okay, hold your horses, young man. We’ll be out of here in a minute,” she answered, a grin on her face as she remembered all the cool Wednesday afternoons in all the mid-Februaries of her youth. Although her mother was usually drunk by this time in the afternoon or busy with her latest lover, somehow she always managed to stay sober on Fair Day. It was one of the few good memories Kendra had regarding her mother. On Fair Day, she was too excited about riding the rides and enjoying the sights, sounds and smells of the carnival to be embarrassed when people stared at them. Even at a tender age she had known something was different about her home situation. It had gotten worse after her father died and impossible as she grew into her teen years. She would hear the whispering and giggling behind her back, the cruel remarks the other girls repeated about her mother, the drunk who slept around. It was obvious that they had learned such things from their parents. She had never let them see her cry.